This is a black and white image of a students in a classroom. 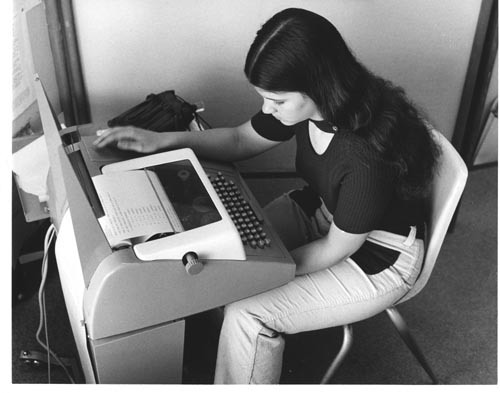 She is sitting at a Teletypewriter looking at the printout. An umbrella is on the table next to her. She is taking a multiple choice test.